UMP | University of Minnesota Press Blog: How the great North Woods became such a huge tourist attraction—through planning and of course, obstacles in the road. How the great North Woods became such a huge tourist attraction—through planning and of course, obstacles in the road. Photographs from The National Archives of the U.S. Forest Service. Spring is here (or so the calendar says), offering a time of renewal and dreams of warmer weather and summer vacations. As someone who enjoys the cold, winter still lingers in my thoughts. More than a decade ago, I traveled north from Chicago to spend several frigid December days along the Gunflint Trail and in the Boundary Waters. “Waters” is a slippery term, and at that time of year much of it involved the frozen kind. With a Gunflint Trail lodge to call home for a few days, I grabbed snowshoes and cross-country skis to traverse the national forest during the day and returned to a nightly fire. Later, Ely served as my dogsledding base for and the town provided good company, hearty meals, and a warm bed. 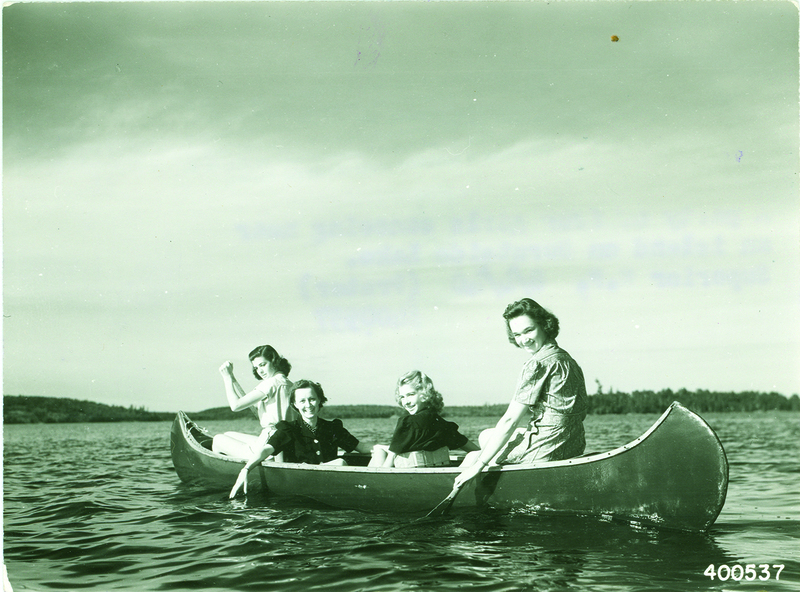 As a North Woods vacationer, my experiences were possible because of local residents, environmental pioneers, government officials, tourist promoters, and visitors who helped craft a vacation destination. 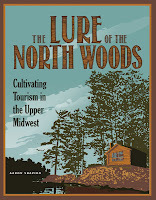 It is their stories—filled with conflict and compromise, success and failure—that are featured in my book, The Lure of the North Woods: Cultivating Tourism in the Upper Midwest. The North Woods is one of the most concentrated lake regions in the world and describes a forested landscape encompassing northern Wisconsin, northern Minnesota, and Michigan’s Upper Peninsula. But beyond geography and ecology, the North Woods describes an abstract idea forged by a range of actors during the twentieth century. 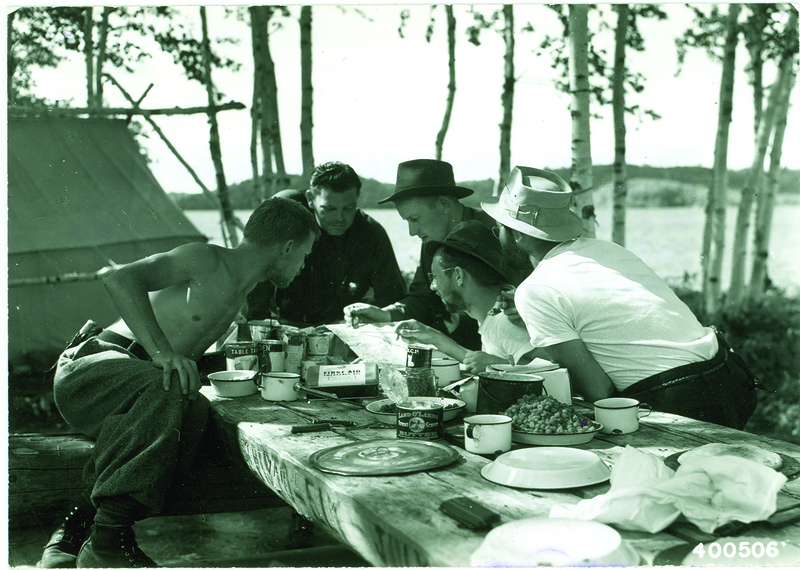 In exploring the creation of the North Woods as a tourist destination, the book highlights the development of modern American tourism, the interwar origins of modern environmentalism, and how people’s responses to deindustrialization transformed work and the landscape. One of many stories exploring these themes involves Ocha Potter, a superintendent with the Calumet and Hecla Mining Company, member of the Keweenaw County Road Commission, and a mining champion. In 1924, Potter expressed reservations about tourism and saw little need for his company or the Commission to develop roads for tourists. But, depression on the copper range forced a change of heart. In the 1930s, Potter advocated for tourist development as president of the Copper Country Vacationist League. He secured relief funds, hiring former mining company employees to transform the area’s landscape. They constructed scenic roads and felled trees to create a golf course and used them to construct a lodge and cabins. While one local paper labeled the project Potter’s Folly, many residents voiced support. As a convert to tourism’s potential, Potter’s work on the Keweenaw Mountain Lodge and scenic Brockway Mountain Drive created local work opportunities and reshaped the landscape to provide a destination for average Americans to vacation. In the North Woods, Potter joined professionals involved in the nation’s first rural zoning initiative in Wisconsin as well as northern Minnesota residents who established lodges and cabins. Drawing on previous experience, they utilized public and private support, including funds for roads, conservation, and guidebooks, to develop tourism on their own terms. at a canoe camp site on Birch Point on the south arm of Knife Lake. Mining, forestry, agriculture, and tourism have long involved battles over natural resources as a source of pleasure, profit, and production. I uncovered accounts of these conflicts in the written records but it was hammered home during a summer visit to Michigan’s Copper Country where I swam in Lake Superior’s still cold waters, toured Keweenaw National Historic Park, and conducted research at the Michigan Tech Archives and Copper Country Historical Collections before returning each evening to a cottage on Torch Lake. While looking out on this landscape, I wondered what the promotional materials might say about this place. For nearly a century, copper mining activities produced tailings that contaminated Torch Lake. Despite the smelter’s closure in 1971, this place was still grappling with the transformation from mining to tourism and associated environmental issues. Torch Lake reminds us that landscapes have complicated histories and those that often seem pristine have certainly experienced the imprint of humans’ labor and leisure. From the Copper Country to the Boundary Waters and across the North Woods, work and leisure have proven inseparable from nature. So whether you enjoy vacationing in winter, spring, summer, or fall, instead of following Carole King and James Taylor’s advice to just call, why not follow Wisconsin’s 1930s roadside signage to “Relax in Wisconsin: Where friends and nature meet”? Exploring the history of North Woods tourism can prove fascinating, particularly discovering how promoters have marked the region as an industrial behemoth, a land of agricultural plenty, a natural paradise, a rustic escape, and a vacation utopia. As they have for centuries, the humans who inhabit the region and the actions they take toward nature, each other, and the past will continue to determine the future of the North Woods. 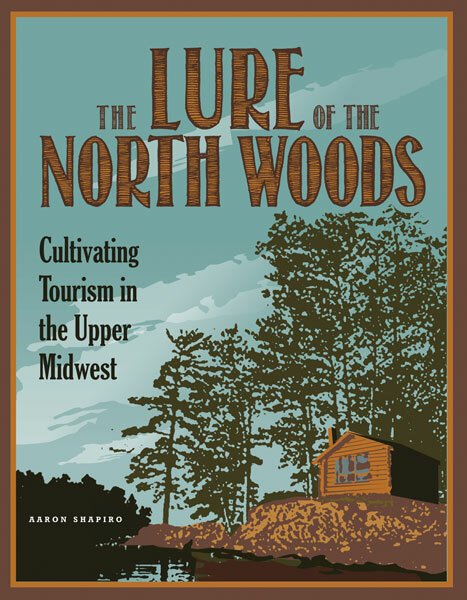 Aaron Shapiro, a Chicago native and North Woods visitor since his youth, is author of The Luire of the North Woods: Cultivating Tourism in the Upper Midwest. He is assistant professor of history at Auburn University, and previously served as national historian for the USDA Forest Service in Washington, D.C., and as assistant director of the Scholl Center for Family and Community History at Chicago's Newberry Library. 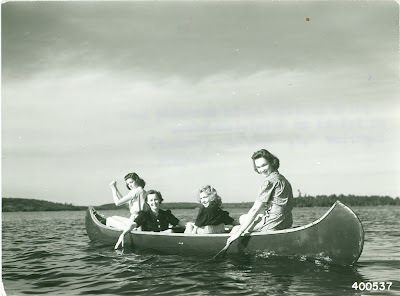 "The Lure of the North Woods is likely to become the definitive history of tourism in the twentieth century Midwest, and a landmark in the history of modern tourism in the United States." "When someone from the Midwest says they are going on vacation ‘Up North,’ they mean the North Woods—the forests and lakes of northern Minnesota, Wisconsin, and Michigan. But as Aaron Shapiro shows in this insightful book, the region has not always been a tourists’ paradise. Shapiro demonstrates how the recreational needs of tourists, the economic needs of resort owners, and the organizational needs of experts converged to create one of the Midwest’s most cherished landscapes, exploring the intertwined roles of work and leisure, nature and culture, place and identity." Thanks for the post. The great woods and outdoor adventures are actually great activities for all to enjoy. Why do we have such faith in creativity?